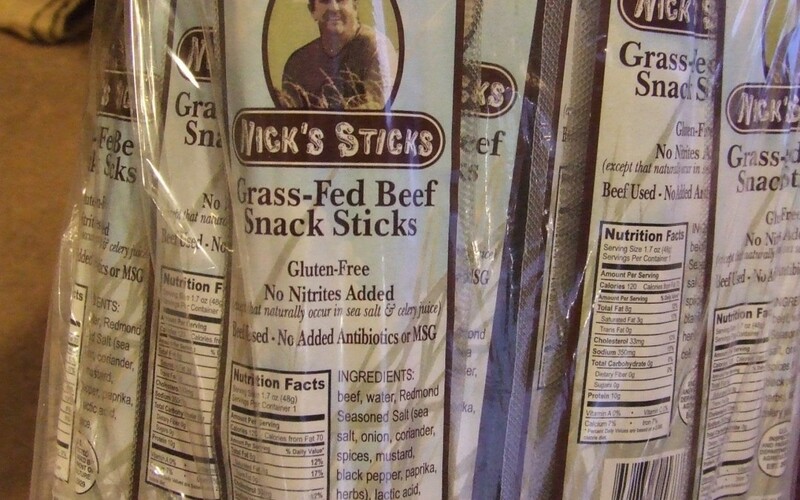 A few weeks ago, I wrote about Nick’s Grass Fed Beef Sticks. I didn’t think it would be possible, but my love for Nick’s Sticks have grown even more. My four-year-old daughter and my seven-year-old daughter have fallen in love with them too. I keep telling myself that this is a good thing, because they now have a high-protein, totally-healthy-for-them, feel-good-about-it, easy-to-pack snack; however, sometimes it is hard to share something that I like to eat so much myself! I guess that just means I have to buy more! Now, I have portable protein for all of us, when we head out to the beach or camping! I also need to restock my supply because sadly, summer is dwindling away and we need to soon start thinking about school, and school lunches. I will also be picking up some organic freeze-dried fruit (Blueberries! Strawberries! Cherries! Raspberries!) to put in their lunches as well!